“Most of our color have dragged out a miserable existence of servitude from the cradle to the grave. And what literary acquirements can be made, or useful knowledge derived, from either maps, books or charm, by those who continually drudge from Monday morning until Sunday noon? O, ye fairer sisters, whose hands are never soiled, whose nerves and muscles are never strained, go learn by experience! Had we had the opportunity that you have had, to improve our moral and mental faculties, what would have hindered our intellects from being as bright, and our manners from being as dignified as yours?… And why are not our forms as delicate, and our constitutions as slender, as yours? Is not the workmanship as curious and complete? Have pity upon us, have pity upon us, O ye who have hearts to feel for other’s woes; for the hand of God has touched us. Owing to the disadvantages under which we labor, there are many flowers among us that are…born to bloom unseen. 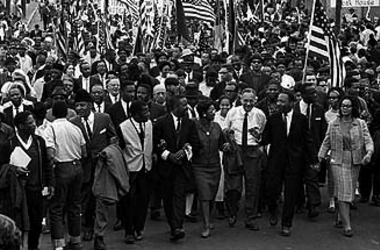 I’m old enough to have remembered the events as portrayed in Ava Duverney’s film, “Selma.” Everything about the film seemed pitch perfect to me though I realized while watching that the lesson, for me, was that we Americans do not see things in the same ways. I can’t actually explain why this continues to surprise me. I remember the excitement of MLK’s speeches. I remember his words as always reasonable, charitable, intelligent. When I recall that people didn’t agree, that some people still don’t, I still shake my head in disbelief. Kudos to Ms. Duverney for her beautiful film. Like so many Black women artists before her, she has made a way from no way. Posted on February 5, 2015 by Breena Clarke. This entry was posted in African American History, AfricanAmericanLiterature, Books, Uncategorized, Women Writers and tagged AngelsMakeTheirHopeHere, Black History Month, Breena Clarke, MARIA STEWART, RiverCrossMyHeart, StandTheStorm. Bookmark the permalink. Nevertheless, she persisted. 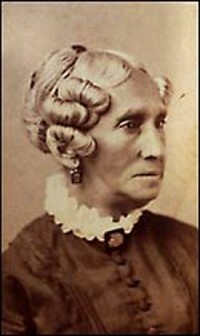 Maria Stewart, the first African American woman to lecture bout women’s rights. Black Her-Story Month, too! 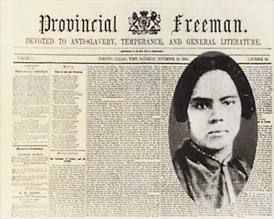 Great addition to our understanding of the long history of contributions from African American feminist writers!